Here's a group photo of some of the rhinestone jewelry. Rhinestone brooch is available on my Etsy shop. As well are the charm bracelet and stud earrings. 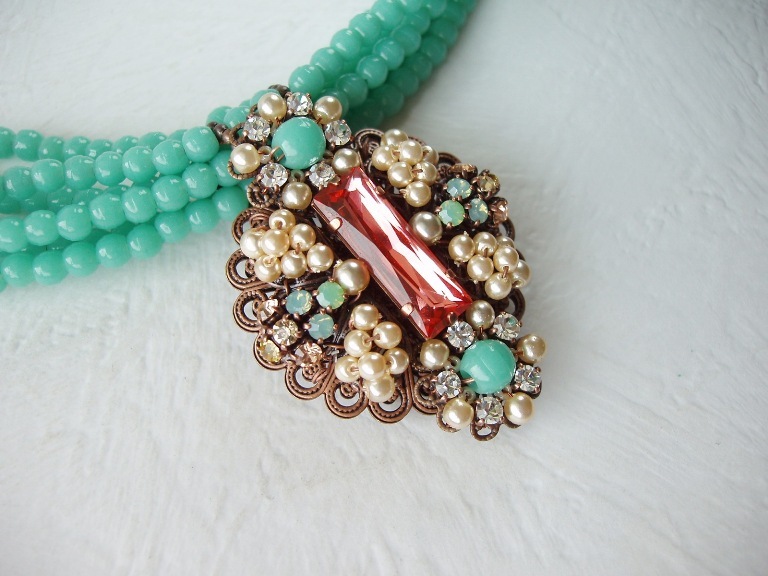 This rhinestone necklace is fit for a princess! 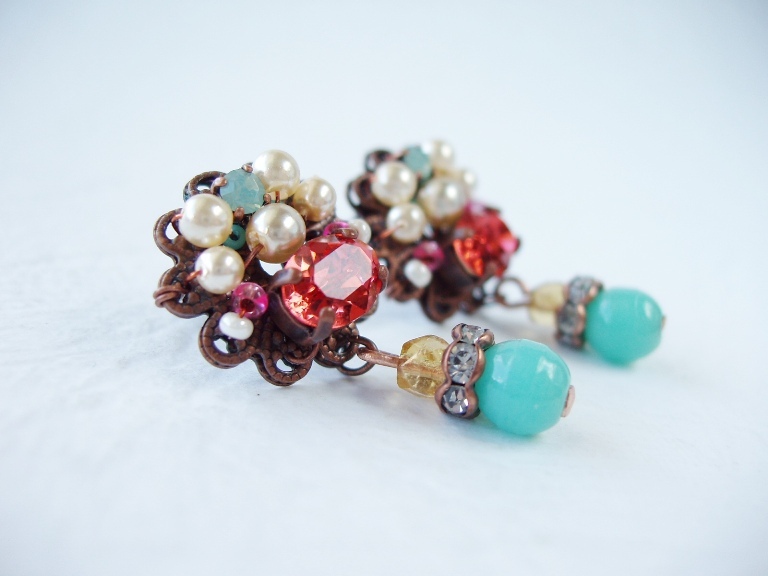 These rhinestone earrings are rather small, measuring 3cm long. Lot of bead stringing here! 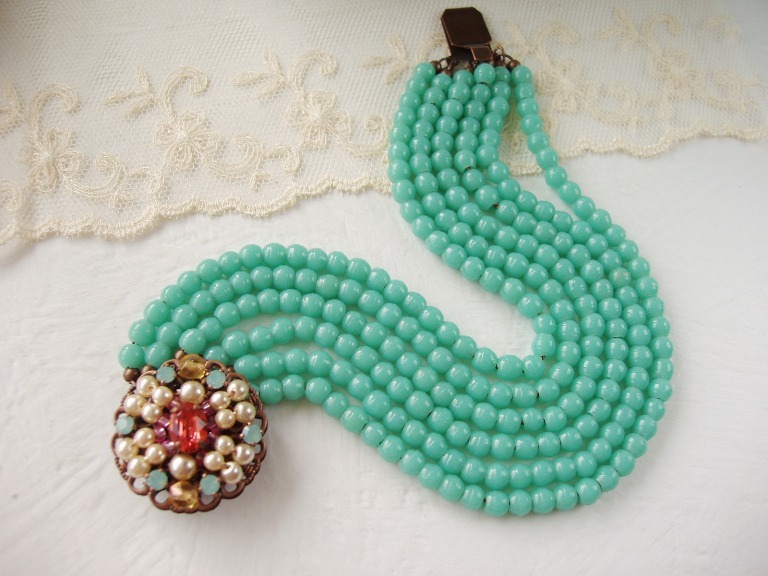 These old French Prosser beads have such a nice rustic look! 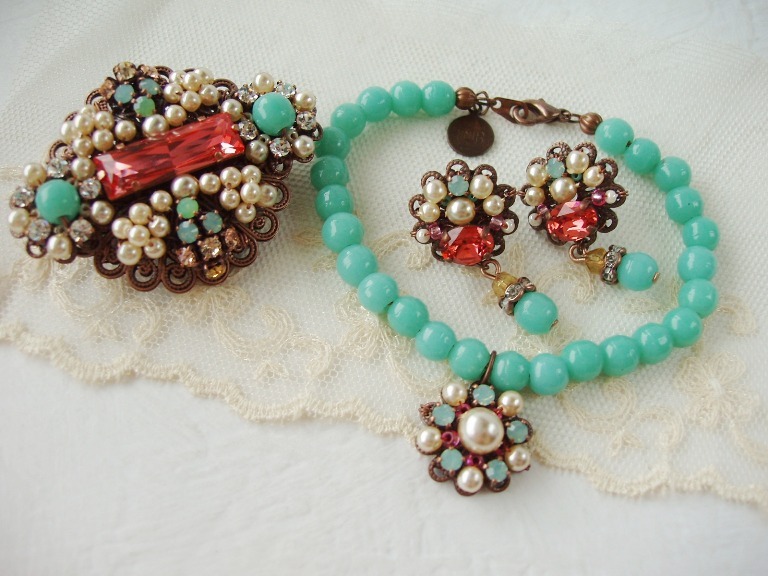 This rhinestone bracelet is available on Etsy. 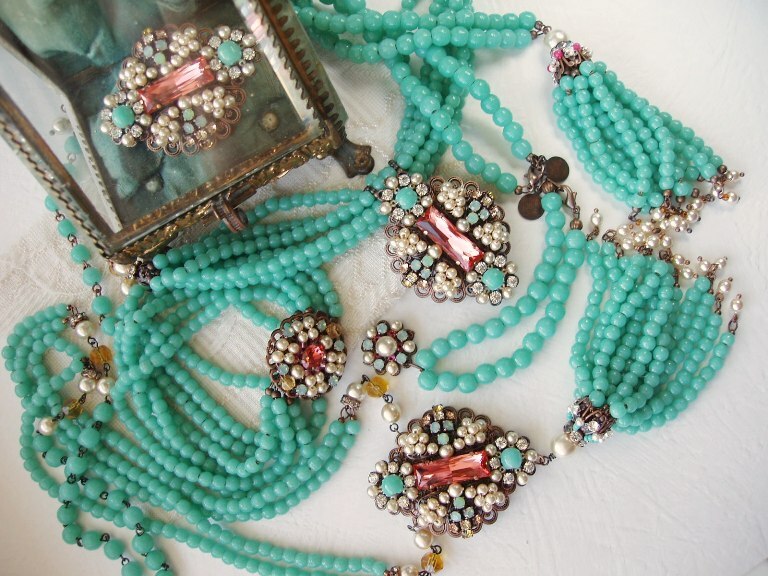 Fun tassel necklace on the right is perfect for everyday wear! 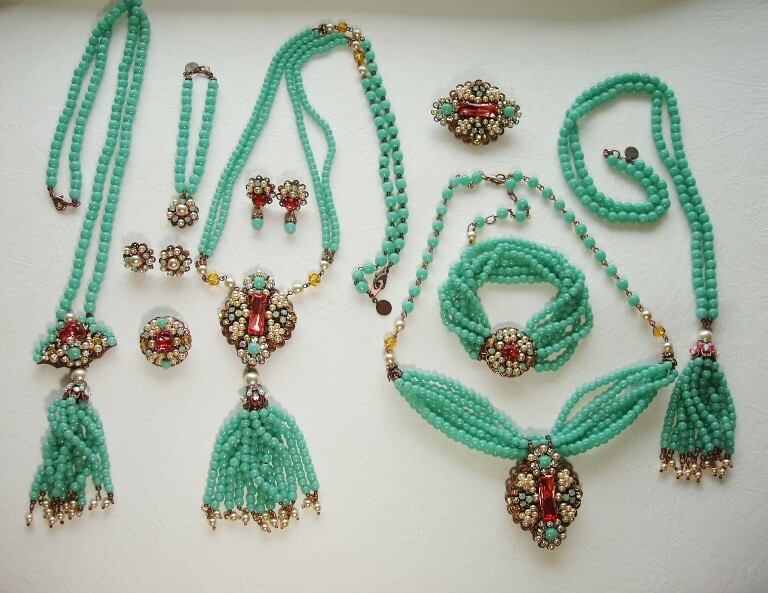 The necklace on the left was the last one I finished. 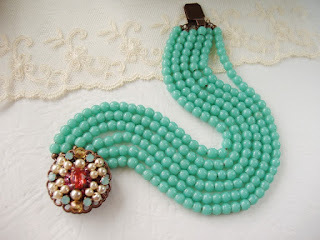 There are also some other jewelry that can be combined with the ones on the photo. 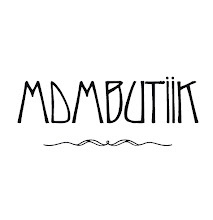 See more at mdmButiik Etsy. Thanks for the providing a great knowledge on the base Padparadscha. This is really a nice blog in the getting more information about Padparadscha.